Horse Academy by Michel Robert offers to riders at every level the possibility to perfect their riding skills, to make their horse progress, and to improve the relationship between the horse and the rider. This site, the exceptional art of teaching, has been a remarkable success in France and in Europe since it has been created. The Horse Academy content is in the form of audio-visual media, based on Michel Robert’s techniques, which offers cohesion in term of progression. As Michel likes to say « In order to improve, the rider needs to understand, to get some points of reference and above all some reliable and solid solutions. Of course, there isn’t only one way to achieve success. I tried a numerous number of them and I sorted them out. Currently, I can say that the solutions I bring to riders are 100% reliable as they are the result of 40 years of searching for advancement ».
. 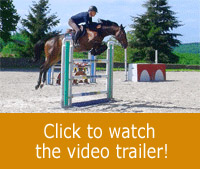 Classical flat work or jumping exercises: gymnastics over ground poles, cavaletti work, grids and courses.
. 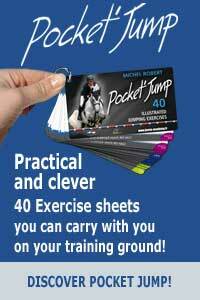 Advice on tack and equestrian equipment that complement Michel Robert’s training program.